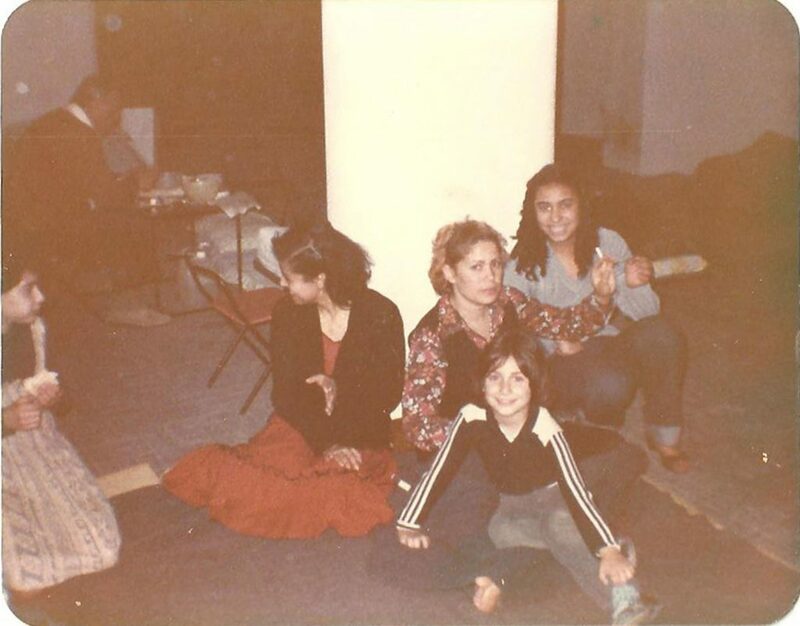 The Missing Album is an ongoing research project that attempts to gather an archive of photographs of Lebanese people living / hiding in their houses during the Beirut Civil War (1975-1990). The project serves as a continuation of the research project “I did not grow up in a war ” that investigates memories through a series of audio testimonials of Lebanese peoples’ houses during the war. The importance of safety and survival within the domestic interior and its particular rooms (bathroom, entrance hall, kitchen…) was thus showcased. The individual memories merge into a collective memory questioning the state of the home and its interior during the war, especially with the absence of an equipped bomb shelter. The Missing Album would be a tool to shape up the collective memory and open up the discussion on whether any photographic archive exists showcasing the states of these families within these rooms. The Lebanese civil war, which spanned 15 years, had a great impact on Lebanon in its entirety. The conflict involved different local and foreign political parties, all brutally fighting amongst each other for territorial power. Behind these scenes that took place on the streets of Beirut and extended onto its suburbs, families took shelter in their homes. Karl Sharro, Lebanese writer and architect, explains the importance of the house. In his article entitled “ Warspace: The City In Civil Conflict ” Sharro states: “At the next level, the smallest units of society, the family and the individual, and correspondingly, the smallest spatial unit, the house, will increase in definition and clarity at the expense of the public realm” (Sharro, 2013). Sharro, highlighted the value of the home as a safe locale, and the only remnant of the urban when all else – the public space, the space of battlefield- has been utterly destroyed. The project thus focuses on these stories of survival when the house becomes the only space of safety. The Missing Album was an idea that emerged due to the hours spent looking at war photographs for the research project “ I did not grow up in a war ” and the realization of a lack of documentation on the home front. “ I did not grow up in a war ” arose from a need for a deeper understanding of what was occurring in the house, behind closed doors. Each person shared a story about a room of the house that closely relates to the war, serving as a starting point for their plot. Taking on the role of the therapist, a series of questions were posed, followed by a drawing session that led the interviewees to delve deeper into their memories giving off more of a physical account of the story. The testimonials that were registered as audio files and drawings erase the importance of the person’s identity, and focus on the similarities of the stories being accounted for. The project manifests itself through four chapters creating different interpretations of war. The first chapter contextualized the conflict through a series of archival material from newspaper clippings and written memoirs to photographs, creating poetic associations between image and text. 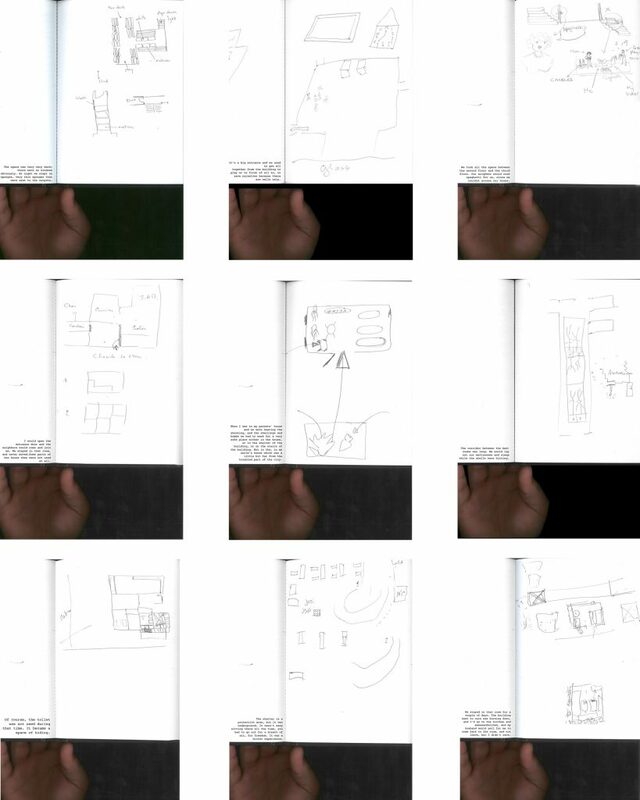 The second chapter introduces the audio-recorded interviews through a collection of images of rooms drawn by the interviewees alongside their accompanying written transcripts (see fig.1). Figure 1: Collection of scanned sketches of interviewees, 2015, as part of I did not grow up in a war Chapter 02 presented at Piet Zwart Graduate Exhibition in Rotterdam, the Netherlands. The third chapter is solely based on audio transcripts. The recorded narratives constitute a grafted polyphony of individuals addressing the different areas of the house that have strongly marked their memories. The individual memories thus combine and describe the state of each room during the war, especially with the absence of an equipped bomb shelter (click on video below). Video 01: The toilet series, 2015. Video, as part of I did not grow up in a war Chapter 03 presented at Piet Zwart Graduate Exhibition in Rotterdam, the Netherlands. The fourth and final chapter visualizes what the war would look like in a heightened constant state of emergency in a fictional neighbourhood based in Beirut (see fig. 2,3, &4). At its essence, the war reduced the community into programmatic families, each one providing a function not present in the other one. How then, would the negotiations of safety and survival occur? What would be the microeconomics of this hypothetical community? What would change when the only currency is the one of survival? Figure 2: Fictional neighbourhood plan, 2015. Digital collage as part of I did not grow up in a war Chapter 02 presented at Piet Zwart Graduate Exhibition in Rotterdam, the Netherlands. Figure 3: Fictional neighbourhood plan with safe connections, 2015. Digital collage as part of I did not grow up in a war Chapter 02 presented at Piet Zwart Graduate Exhibition in Rotterdam, the Netherlands. Figure 4: Fictional neighbourhood plan with safe connections, 2015. 3D model as part of I did not grow up in a war Chapter 02 presented at Piet Zwart Graduate Exhibition in Rotterdam, the Netherlands. “Electric power, telephones, water supply, all the networked services that enable the modern city to function were being rationed. At times of severe crises, those services would become unavailable for months on end. The response that the Beirutis developed was based on self-sufficiency: they would buy small electric generators to produce their own electricity, dig wells and use mechanical pumps to distribute the water to buildings, and make their own bread at home when bakeries stop working for one reason or another” (Sharro, 2003). The importance of the unit of the house becomes quite evident. The interviews I conducted with the people shed light on specific rooms of the house that were recounted often such as the bathroom, the entrance hall, and the bomb shelter, due to their strategic yet accidental placement within the apartment. These safe rooms are normally placed at least between two walls, and would therefore have minimal glass facades that were dangerous in times of conflict. Additionally, through these narratives, the methods of adaptation that had to be undertaken in these times, as Sharro points out, became obvious. In some instances, people built walls out of concrete blocks in their entrance halls saving themselves from any glass breaking; in others they used sand bags to cast themselves away from any potential danger; some closed off an entire neighbourhood using their cars to protect their new-found home. The home and the various interior changes that occurred to it become the sole witness of each family’s survival. 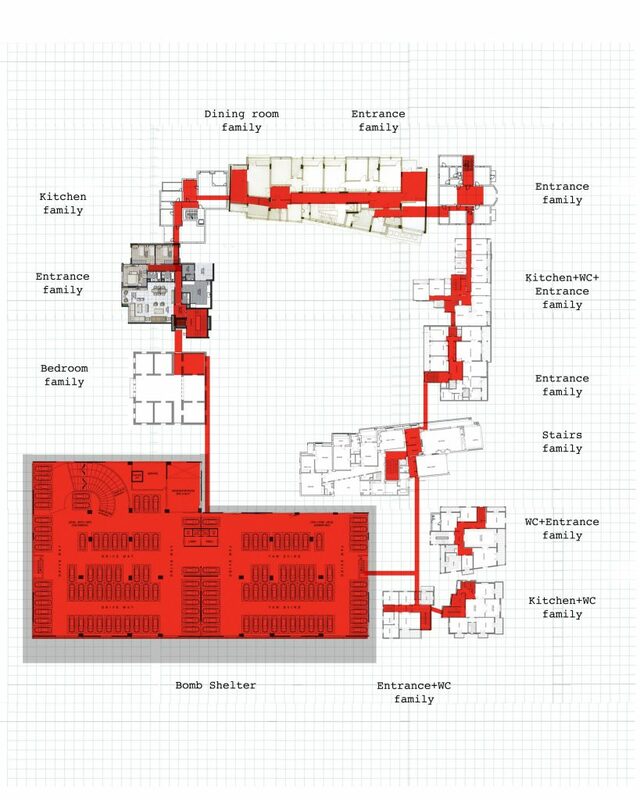 Locked in the memories of Lebanese people’s minds, the project seeks to uncover the main protagonists, the toilet, the entrance hall, the hallways, the kitchen, the stairs, and the bedroom. Furthermore, and as pointed out in the previous section, war photographers highlighted the damage caused by the war at a strictly urban level, addressing the street and the buildings, without venturing into the interior. The Missing Album seeks to put en relief the role of the house during wartime. It tries to gather and collect photographs of the spaces of survival from people within the house or their associated shelter. As part of the 40th anniversary of the Lebanese Civil War, journalist Soha Abou Taha, shed light in her piece entitled “ Ce qui s’est passe le 13 Avril 1975? Je n’en ai aucune idee ”, (What happened on the 13th of April 1975? I have no idea) on the ignorance of the young towards what has occured during the war (Taha, 2015). Considering the fact that the Lebanese civil war is a national taboo, whereby no agreed historical account of it has been implemented in the national educational system, and citizens would rather ignore its existence in their shared history, The Missing Album would therefore, aim at creating a different view of the war away from any political content; one that shares stories of witnesses of the war, and their survival within the home. The collection of such photographs in The Missing Album provides the opportunity to tell stories of the house and would highlight its importance in the context of war. Moreover, it would give way to the formation of a collective memory of the war amongst the present and older generations – all set out within the home. The images would help in uncovering various instances within the 15-year Lebanese Civil War and would create an archive of memories of the house during wartime. It is quite possible that no one would venture into taking a picture in a state of war, especially with the lack of digital photography in the past; which then leads to a broader hypothetical question: could the Lebanese population have no photographic evidence of their lives within their interiors between 1975 and 1990, knowing that their only safe haven was their allocated safe spaces within the domestic? If that is the case, how does this affect the identity of a nation starting from the individual photograph – as a tool for memory – to a collective archive of photographs of people in their safe spaces? In protest against the erasure and denial of the civil war, a number of Lebanese artists produced art to reinstate what had already happened. The videos of artist Lamia Joreige entitled “Objects of War”, showcased interviews with people showing mundane objects that they used during the war. The videos clearly denote the memory behind each object, exposing how each item was used and adapted as a consequence of war. What is also interesting in the work is its durability; in fact, the series was created between 2000 and 2006 at three different instances, each time interviewing different people with different objects (Joreige, 2000). Another prominent artist was Walid Raad who created The Atlas Group Archive in 1999, which was a fictional archive that served as a critique to the untold history of the civil war. It combined texts, films, and photographs that were fabricated and put together to build up credible stories about the war (Cotter, 2016). Both works aimed, through their different methods, at gathering stories, whether real or fictional, to try to provide a framework for the narrative of war. The apparent amnesia towards the civil war, allows for various interpretations attempting to shape our collective memory. The project’s main methodology would aim primarily at gathering personal photos from people that would give a personalized outlook to the album. Similarly to the work of Lamia Joreige presented before the project seeks to provide another version of war where the home is the main character. Starting with the 35 people I have already interviewed, the project would be open-ended and would highlight specific people’s experiences of space. The work would then extend over an undefined period of time, gathering more pictures and vocal recordings from a different set of people. In the event of a general lack of photographs, a secondary methodology will have to be formed to showcase the gap and what is missing. 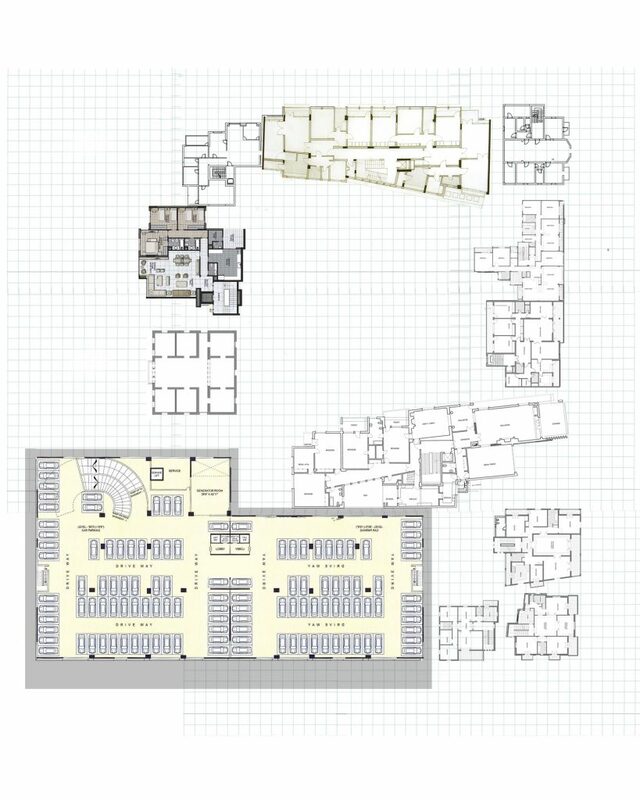 For this, the project would then focus on the interior. Inspired by the work of Walid Raad and the fictional archive, it would attempt to seek photographs of rooms in which the interviewees have survived. These photos of the toilet, the entrance hall, the hallway, whether real or unreal, along with their associated voice recordings, would highlight the essence of the space of survival, and showcase the missing people and their actions. It would show the space’s present state with a voice of the past. 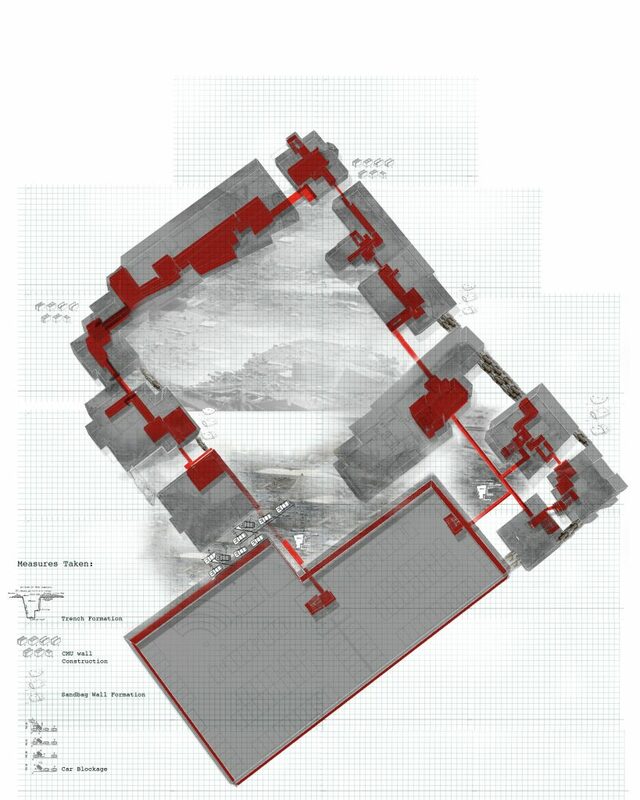 Therefore, the methodology would allow to 1) shed light on the absence or presence of the hypothetical archive and possible gaps of the archive of photographs of the domestic life of the civilians, 2) create subcategories related to each space of the house 3) investigate other spaces that were also considered a space of shelter; a home. Although newspapers would mostly document the latter, the project would seek personal photos of people in hiding. The archival process started by asking the 35 interviewees for photographs of their safe spaces. Amongst the 35, two were able to find photographical evidence of their spaces during the war. Figure 5 shows the image of a child ready to take her shower in the red bucket, with her mother huddled up around her, as well as other family members. The interviewee explained that the bedroom had to be moved to the entrance hall, since it was much safer. It was also quite normal for kids to be washed in these buckets in the entrance, as it was a shielded space. Figure 6 depicts a group of smiling youngsters cramped up around a white column. What is not evident in the photograph is that the people were all grouped in an underground parking space because their houses were exposed from all directions and did not have any bomb shelter. Their only safe space was a 20-minute walk away to a nearby shopping centre’s underground parking. These examples, although few in number, reflect upon the idea of the home and questions what a home is at times of war. In the first case, the entrance hall became the home where all actions occur between showering, eating, and gathering. In the second case, the home became a vast parking lot shared with strangers. 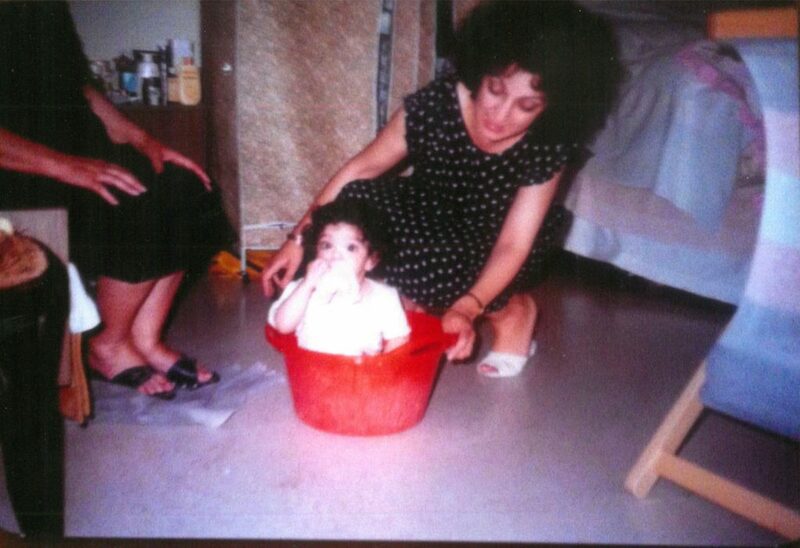 Figure 5: Mother preparing to give her daughter a shower in a red tub while family watches, 1983. Photograph, Beirut, Lebanon. Figure 6: Group of people gathering around a column hiding in the underground parking lot, 1986. Photograph, Beirut, Lebanon. Ideally, the project would be exhibited in an apartment building in Lebanon as a start, transmitting the feeling of being confined in the various rooms of the house. Each room would have a mixture of images, and vocal recordings transporting the visitor to the everyday life of war. The Album of photographs would then be spread out all over the house, and would consist of real images of people within their safe spaces during the war, and photographs of the present empty interiors accompanied by vocal recordings; the visitors through sound, are left to imagine the missing people and actions in each of the settings. The process would be repeated at interval times, and would be exhibited in different countries due to its timely nature in relation to the refugee crises. Digitally, an online database of photographs would start being formed and would potentially create an archive categorized according to each room within the house. – Adnan, E. (2005). In the Heart of the Heart of Another Country. San Fransisco: City Lights Publishers, pp.99-101. – Bbc.co.uk. (2014). BBC – Primary History – World War 2 – Wartime homes. [online] Available at: http://www.bbc.co.uk/schools/primaryhistory/world_war2/wartime_homes[Accessed 11 Aug. 2016]. – Burnett, D. (2014). Vietnam War | Contact Press Images. [online] Contact.photoshelter.com. Available at:https://contact.photoshelter.com/gallery-image/David-Burnett-Vietnam-War/G0000q85UwEBhhq8/I0000OS33LMUrFGg [Accessed 19 Oct. 2016]. – Cooke, M. (1996). War’s other voices. Syracuse [N.Y.]: Syracuse University Press. – Cosgrove, B. (2013). Capa’s ‘Falling Soldier’: The Modest Birth of an Iconic Picture. [online] Time.com. Available at: http://time.com/3638051/capas-falling-soldier-the-modest-birth-of-an-iconic-picture/ [Accessed 11 May 2016]. – Cotter, H. (2016). Walid Raad’s Unreality Show Spins Middle Eastern History as Art. [online] Nytimes.com. Available at: https://www.nytimes.com/2016/01/08/arts/design/walid-raads-unreality-show-spins-middle-eastern-history-as-art.html [Accessed 22 Nov. 2017]. – Depardon, R. (2014). LEBANON. Beirut. Civil war. 1978.Raymond Depardon. [online] Pro.magnumphotos.com Available at: https://pro.magnumphotos.com/C.aspx?VP3=SearchResult&STID=2S5RYDZ1ABTQ [Accessed 11 Aug. 2016]. – Jabra, S. (n.d.). Stavrotoons – The Lebanese War photos. [online] Stavrotoons.com. Available at: http://www.stavrotoons.com/lebanese_war/main.asp?toonId=686 [Accessed 26 June. 2016]. – Joreige, L. (2000). Objects of War. [online] Lamia Joreige. Available at http://www.lamiajoreige.com/filmsDetails.php?OBJECTS-OF-WAR-9# l [Accessed 15 July. 2016]. – Mirzoeff, N. (2013). The visual culture reader. London: Routledge. – McCullin, D. (2006). The Confession of a War Photographer. Interview by Jiang Rong for the ASX Team. [online] ASX. Available at: http://www.americansuburbx.com/2013/05/interview-don-mccullin-a-confession-of-war-2006.html [Accessed 15 July. 2016]. – Sharro, K. (2003). The Self – Sufficient House. 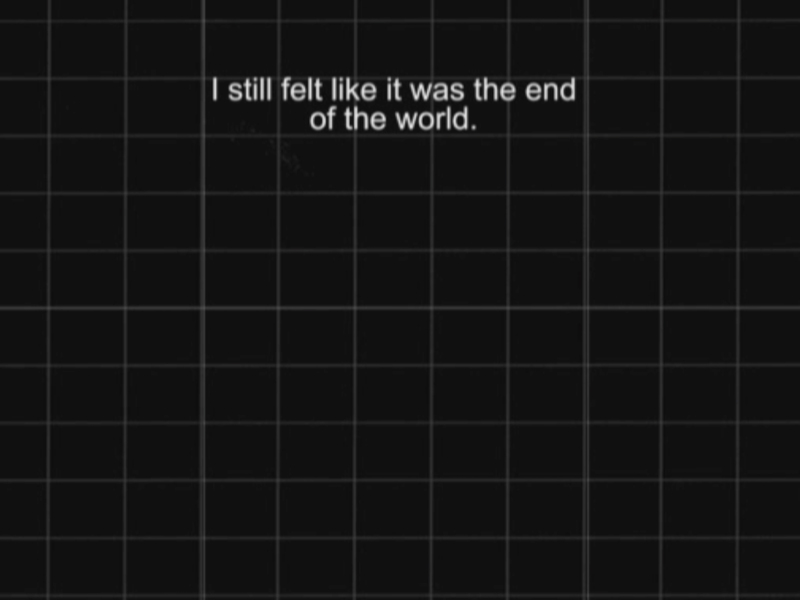 – Sharro, K. (2013). Warspace: Geographies of conflict in Beirut. [online] openDemocracy. Available at: https://www.opendemocracy.net/opensecurity/karl-sharro/warspace-geographies-of-conflict-in-beirut [Accessed 4 Aug. 2016]. – Tate. (2013). ‘Palestinian Fighter Training in Beirut’, Don McCullin, 1976, printed 2013 | Tate. [online] Available at: http://www.tate.org.uk/art/artworks/mccullin-palestinian-fighter-training-in-beirut-ar01217 [Accessed 5 Aug. 2016].